Steven Westreich is the President and Founder of Westbridge Realty Group, a full-service investment sales firm based in New York City. Handling acquisitions and dispositions on behalf of investors, Westbridge concentrates on middle-market multi-family, mixed-use, and development properties in Manhattan and the surrounding boroughs. Mr. Westreich’s knowledge and capabilities span a diverse variety of commercial real estate asset types, including retail, office, multifamily, industrial, vacant development land, low-income housing, and lodging properties. 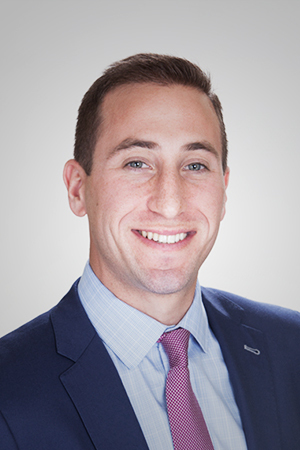 In 2015, Steven was recognized by the Commercial Observer as one of New York City's 30 under 30 rising stars in commercial real estate. Before starting Westbridge Realty Group, Steven worked at Rosin & Associates as a senior appraiser and CMBS underwriter, where he appraised or underwrote over $2B worth of real estate. Prior to that, Mr. Westreich served as an Investment Sales Associate at Newmark Knight Frank, a full service commercial real estate brokerage firm headquartered in New York City. While attending the University of Maryland, Mr. Westreich served as a land development broker at The Hogan Companies, a premier land brokerage and development firm in the Mid-Atlantic, based in Annapolis, Maryland. Mr. Westreich holds a Bachelor of Arts degree in History from the University of Maryland, with an additional focus in Accounting and Economics. Mr. Westreich has also completed additional coursework at NYU Schack Institute of Real Estate.